It has 5 individually securable laptop compartments in each Locker Cube. Has a secure compartments for safe storage and charging of laptops, cell phones, ipods or other valuable items. Electronic or Mechanical locking available. It is a fully ventilated laptop storage compartments to prevent laptops from overheating. Has a security mounting kit for securing the cube to a wall. Power outlet and USB in each compartment for individual charging. Made of recyclable steel construction for increased durability and longevity. Powder coated finish in Stormy Silver (body) and Charcoal (doors). Cube design for modular installation. 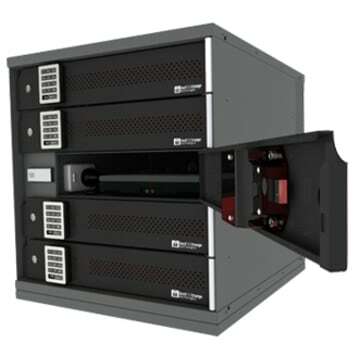 The LockNCharge DigiCube-Pedestal LockNCharge laptop locker is a revolutionary storage solution designed to individually secure, charge and ventilate notebooks and netbooks. 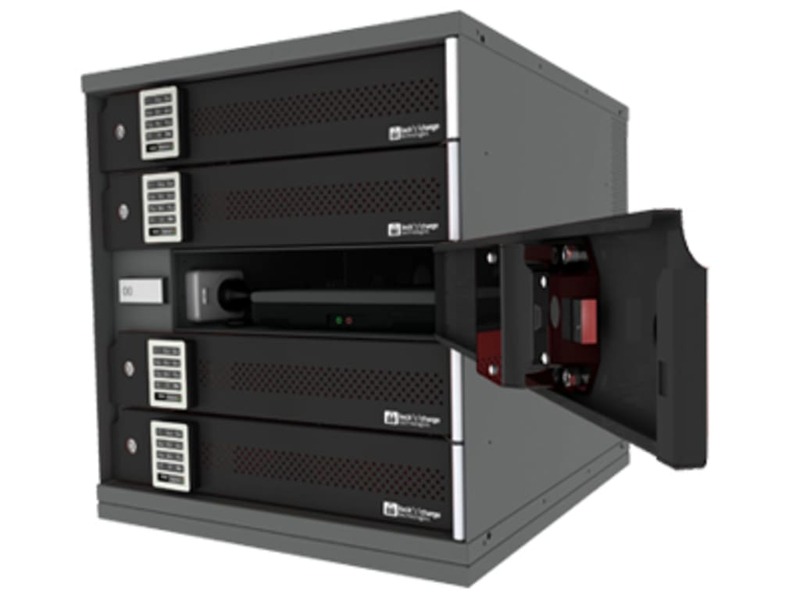 The DigiCube-Pedestal powered laptop locker will fit and blend into any space. It can be securely stacked one on top of another, mounted side by side, or secured to a wall. This model can also be rotated to open vertically or horizontally.